I am absolutely in love with these products! Yup, starting my blogpost with a big reveal that the Bourjois Paris City Radiance Foundation and Radiance Reveal Concealer are the bomb! I have a Get Ready With Me (GRWM) video coming up in two weeks time featuring these products, stay tuned on that. I was a bit weary of the colours at first because I received the Bourjois Air Mat foundation sometime ago but the colour the sent me was way off. I requested for a lighter colour but no one replied my email, so I did not even bother with the review. But these babies, are a complete different story. These new products are made for those who enjoys a light, glowy, yet long-wearing base. It's also surprisingly comfortable even in a hot and humid weather like Malaysia. I can't stop reaching out for these the past month. From the website, it claims to have anti-pollution screen, SPF 30, and radiance-boosting pigments in it to block pollution and UV rays to protect the complexion of beautiful city-dwellers. It's made to be fresh, it's made to be hydrating, and breathable to the skin. It's basically a healthier foundation option for your face. The packaging is simple, light, and easy. Not prone to spills and compact enough to travel with it. 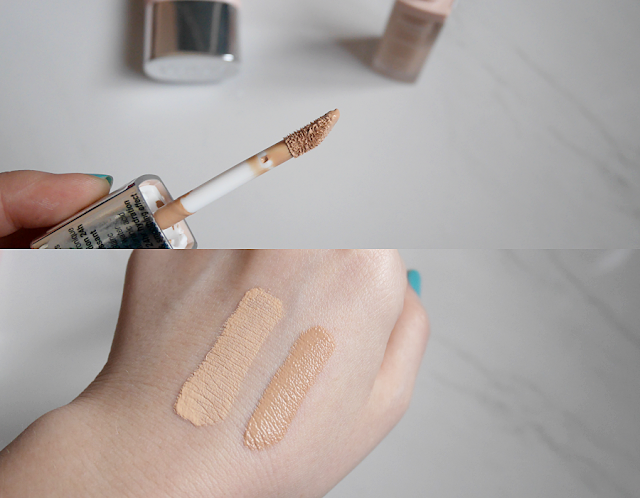 I thought the lightest shade 02 Vanilla won't fit my skin tone but HALLELUJAH, it was the perfect fit! I also have one in a shade darker, 03 Light Beige, thus I used both the foundation to do light shading to make my face look smaller. It will be shown in the video that I mentioned earlier. It's truly a great foundation. It's gel-like texture is cooling, moisturising, and easy to blend. Although it already comes with SPF30, I usually still apply an SPF50 underneath for the extra coverage because you know how sunny Malaysia can be. It is sheer to medium coverage I would say, thus, concealing is a must unless you are having a fantastic skin day. Let's talk packaging, it's sleek, it's simple, it's convenient. Loving the matte exterior and the doe foot applicator. It doesn't leak and even though it's plastic, it feels like the luxurious kind of plastic. It's overall well thought of. Form the website, it claims to corrects, illuminates, and provide 24hr hydration. Nobody should wear foundation for 24hours but whatever. It's made specially for the delicate eye area. The creamy, water-weight texture blends with minimal effort to avoid tugging and pulling of the skin. The formula is also enriched with water from the glaciers of Mont Blanc and hyaluronic acid. It brighten up my under eyes and making me look like I have a glow from within. 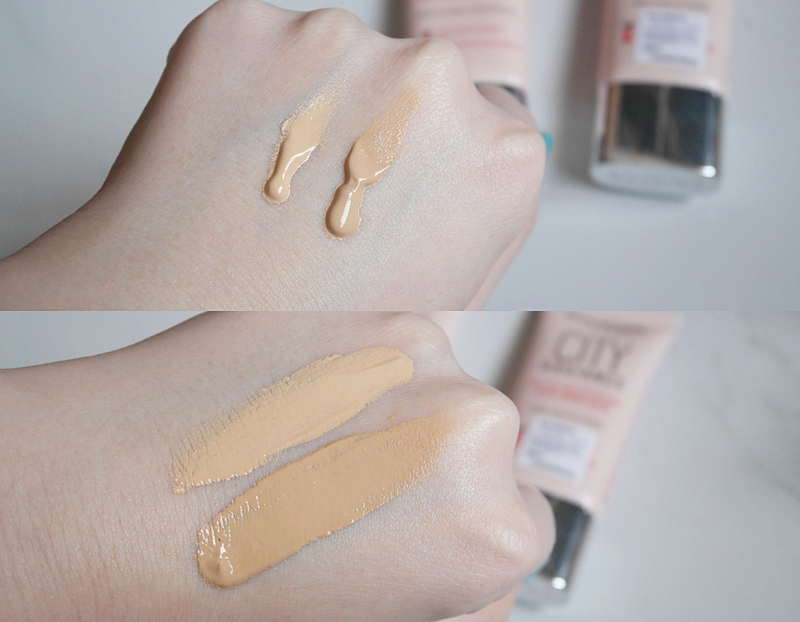 I have both 01 Ivory and 02 Beige shades, similarly, I use both with the darker one to do light contouring on my face. Overall, yes for both from me! Coming soon, a video featuring these two products. So Stay Tuned! *This blogpost is not paid. Product was given but opinions remain my own. A Warm ShoutOut To My Mom!